Qatar were crowned AFC Asian Cup UAE 2019 champions on Friday as superb goals from Almoez Ali and Abdelaziz Hatim laid the foundation for a 3-1 win over Japan in a rousing final at the Zayed Sports City Stadium in Abu Dhabi. 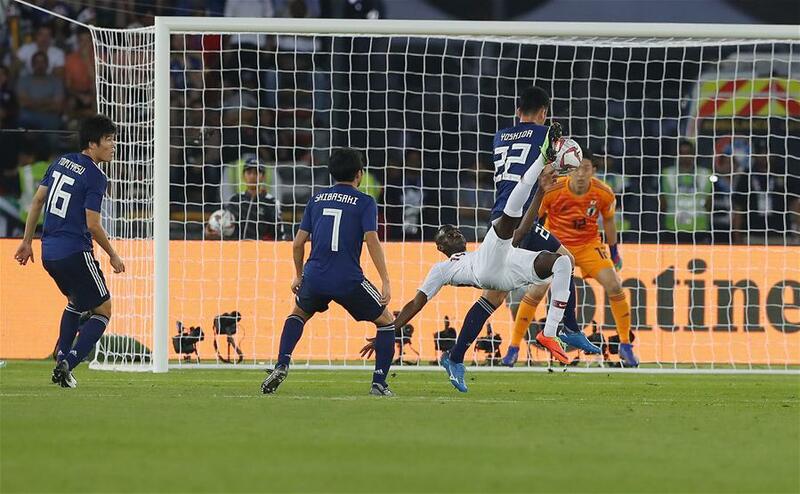 The pair both found the net brilliantly in an inspirational first half for Qatar, while, despite a spirited second-half display from Japan, Akram Afif added a late penalty to secure the West Asian nation's first-ever Continental crown in spectacular fashion. On a historic night for the Qataris, Felix Sanchez's talented charges recorded their seventh successive victory, while Ali's ninth strike of the competition saw him break Ali Daei's record for the most goals by a player in a single edition of Asia's premier event. While there was unbridled joy for Qatar, the defeat ended Japanese hopes of claiming what would have been a record-extending fifth title. Japan, who had Tsukasa Shiotani replacing Wataru Endo, were quick to take the game to Qatar as Yuya Osako sent a fourth minute effort wide of the target. However, it was to be their opponents who took the lead just eight minutes later through a moment of brilliance from Ali. The young striker received the ball from Afif before juggling the ball twice and sending a spectacular overhead kick beyond the reach of Japan goalkeeper Shuichi Gonda to etch himself into the record books and further underline his burgeoning reputation. After their early setback, Japan looked for a quick response, but continually failed to find a way through a resolute Qatari defence that had not conceded a single goal en route to the title showdown. With their frontline failing to shine, worse was to come for Japan on 27 minutes when yet another Akram Afif assist – his 10th of the competition – found the back from suspension Abdelaziz Hatim who curled a delightful effort into the bottom corner to double Qatar's advantage. Two nearly became three for Qatar shortly after, as captain Hassan Al Haydos hit the outside of a post with an angled shot following Pedro Correia's deflected cross. To their credit, Japan refused to buckle, and they came close to reducing the deficit on the stroke of half-time, Osako narrowly failing to apply a finishing touch to a Yuto Nagatomo cross when well-placed. In need of a response, Japan once again started brightly, with Maya Yoshida heading over from a corner inside the first five minutes of the second period. With the game's pace showing no sign of relenting, Almoez Ali then skied a chance from close-range, while, at the other end, substitute Yoshinori Muto and Yoshida both flashed headers off target as the Samurai Blue continued to press. Their persistence duly paid off on 69 minutes as Takumi Minamino reduced the deficit courtesy of a wonderful dinked finish over Qatar custodian Saad Al Sheeb after being set up by Osako. It mattered little however, as, with eight minutes remaining, referee Ravshan Irmatov pointed to the spot following Yoshida's handball and a subsequent VAR review. Akram Afif converted the resulting penalty with aplomb to confirm Qatar's title.